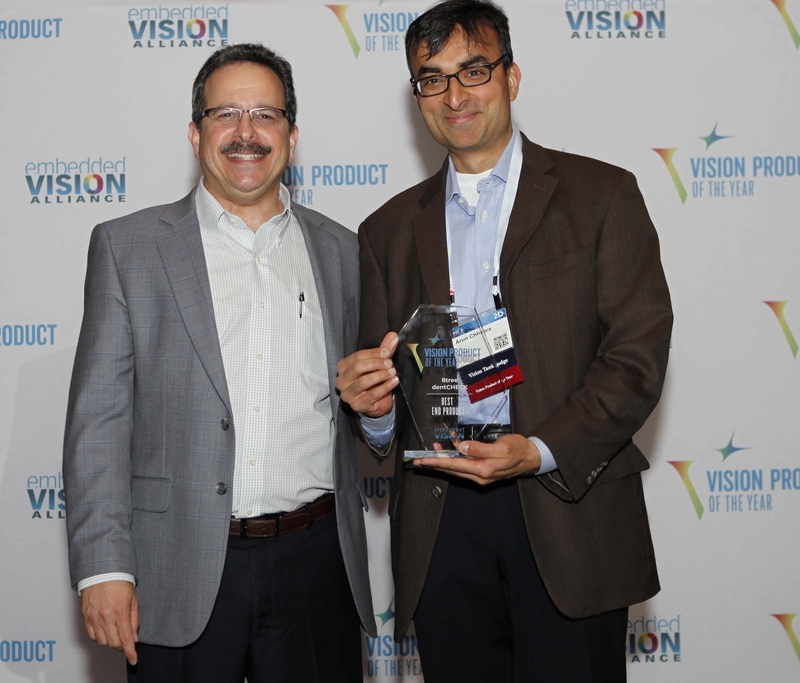 The Embedded Vision Alliance is excited to announce the 2019 Vision Product of the Year Awards. The Vision Product of the Year Awards are open to Member companies of the Embedded Vision Alliance and celebrate the innovation of the industry's leading companies that are developing and enabling the next generation of computer vision products. Winning a Vision Product of the Year award recognizes your leadership in computer vision as evaluated by independent industry experts. We are no longer accepting entries for the 2019 Vision Product of the Year awards. Validate your leadership and innovation with selection by independent industry experts. Differentiate your product or service through use of the Vision Product of the Year Award logo on your marketing materials. Showcase your Vision Product of the Year Award trophy to current and prospective customers, partners, investors and employees. Promote your product or service through the Embedded Vision Alliance press release, website and newsletters. Reach qualified sales prospects through the Embedded Vision Alliance’s highly targeted audience. Generate industry awareness through press coverage for your winning products or services. Winner highlighted for two weeks, three times per year, for a total of six weeks' exposure. Winner showcase - a brief article about the winning company and product. Interview-style article - produced jointly with the winner. Video Interview - recorded at the Embedded Vision Summit (2-3 minutes). The winner for each category will hold the Vision Product of the Year Award title for a year- so you will enjoy many opportunities to reap the promotional benefits! Innovation. Describe your product highlighting your innovation and unique features. Differentiation. How does your product compare to the closest competitor? Customer Impact. How does your product create new value for your customers? What does your product enable your customers to do that they could not do previously? Market Impact. How has your product been received in the market? Provide links to press coverage, market research reports, customer usage, interviews, etc. We hope that these Contest Rules will answer any questions about submitting your entry. If you need additional information, please check out our FAQ or contact us at visionawards@embedded-vision.com.